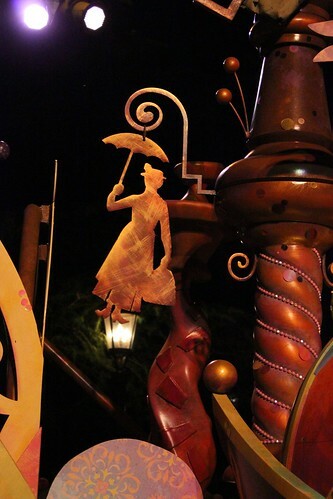 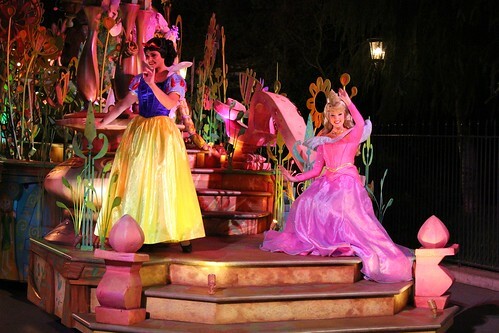 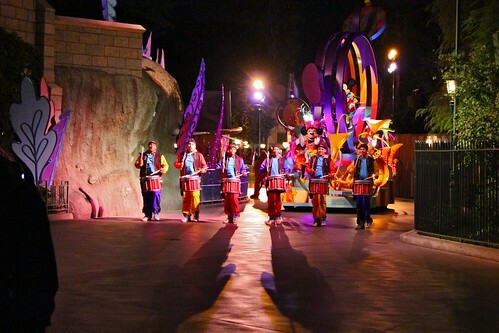 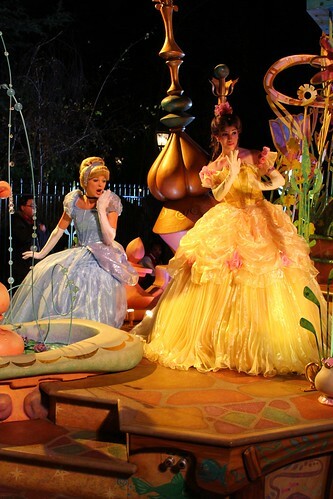 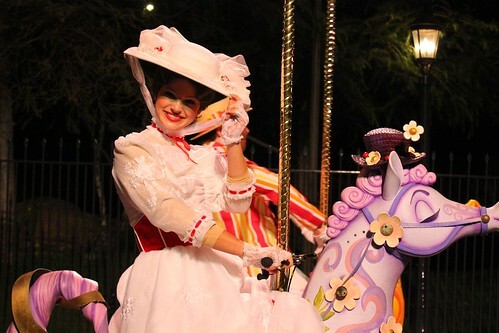 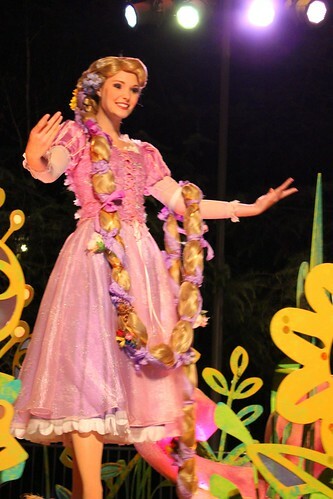 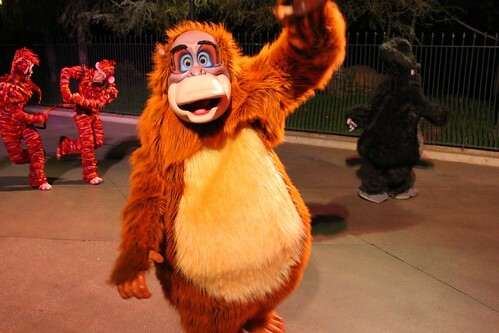 Disney generally creates its theme park parades with daytime or nighttime performances in mind, not both. 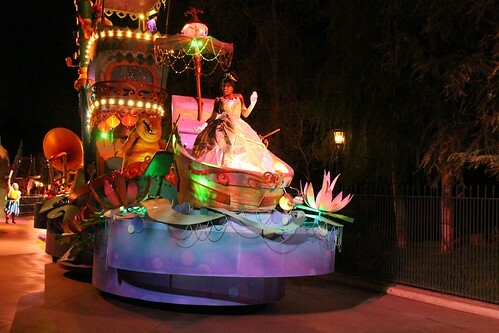 The popular Main Street Electrical Parade and SpectroMagic are clearly nighttime parades, with “thousands of sparkling lights” illuminating each float and performer. 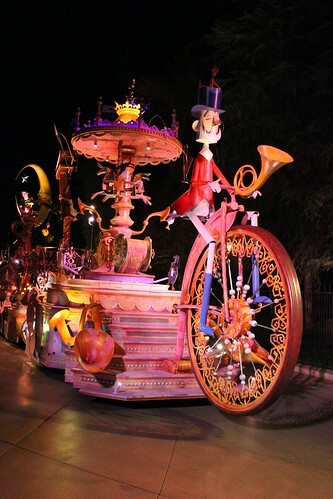 Likewise, Celebrate A Dream Come True at Walt Disney World and the fairly recent Parade of Dreams at Disneyland have both been performed during the day. 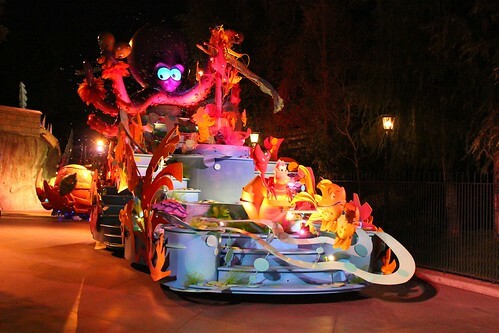 But Disneyland’s newest and widely-loved parade is not only unique in style, but also in that it glows even more beautifully at night than during its daytime runs. 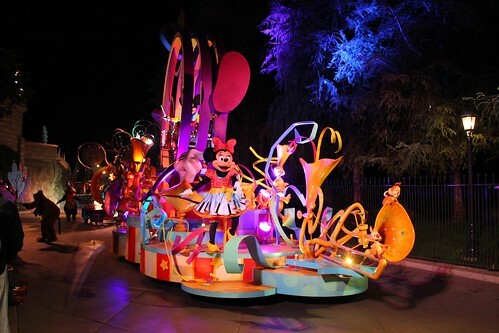 Mickey’s Soundsational Parade officially debuted in June 2011, tying new and classic Disney films together with an upbeat soundtrack and consistent aesthetic throughout all its floats and costumes. 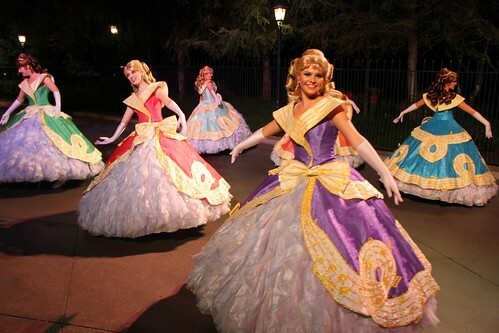 It’s been a big hit among Disney fans since its first performance. 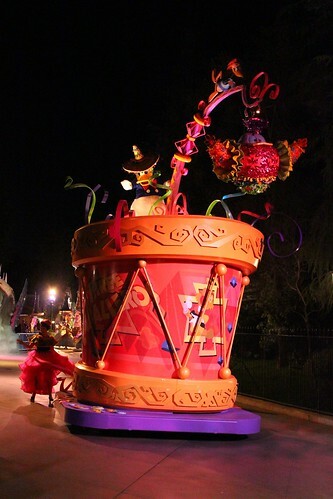 Though I’ve seen and enjoyed this new parade many times since its debut, during my recent visit to Disneyland last weekend I had my first chance to see it at night and was thrilled by how it looked. 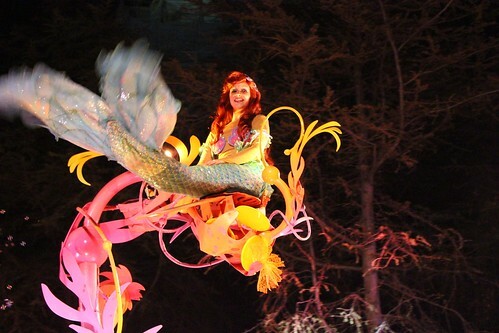 With colorful spotlights illuminating each float and performer, it was just as easy to see all the details designers Kevin Kidney and Jody Daily incorporated into the show. 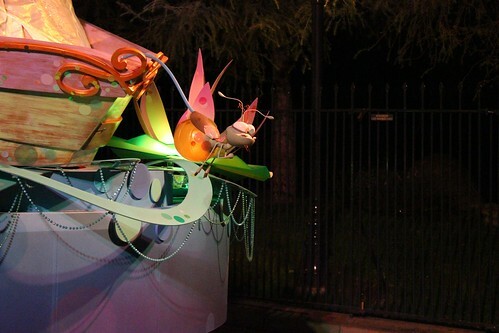 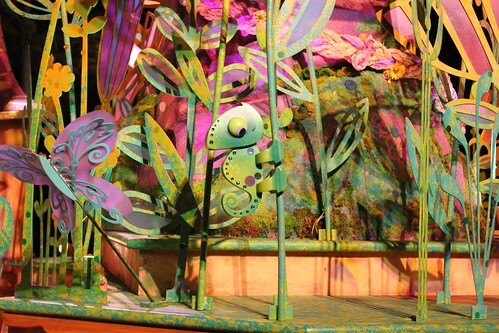 In addition, individual areas of each float lit up, the best use of which is the shining backside of Ray the firefly from “The Princess and the Frog.” Though the floats don’t light up in “thousands of sparkling lights” like the Main Street Electrical Parade does, the color palette is vibrant enough on its own. 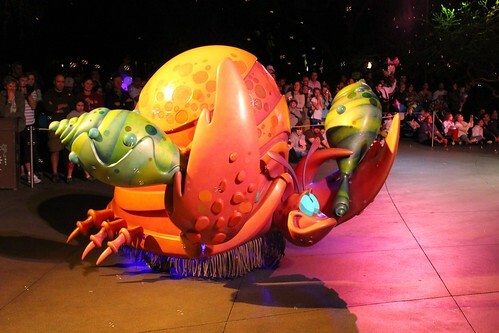 Below are photos of a few of my favorite moments from Mickey’s Soundsational Parade at night, followed by a full slideshow. 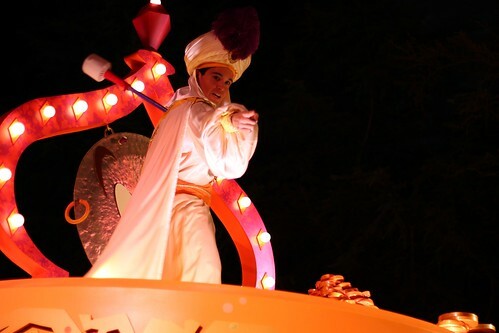 I didn’t take video of the parade at night, as I was too busy shooting stills and watching it with my own eyes instead of through a video camera viewfinder, but you can compare the nighttime shots above with the daytime video below, shot during the official debut of Mickey’s Soundsational Parade, and decide which you prefer. 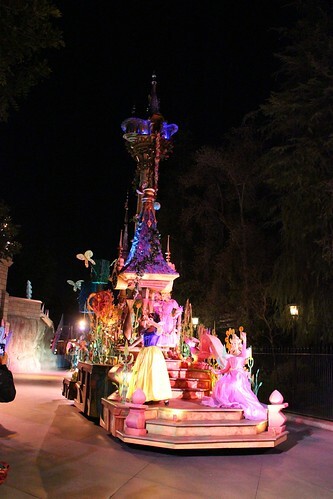 I completely agree I recently saw the night time version it is much better! 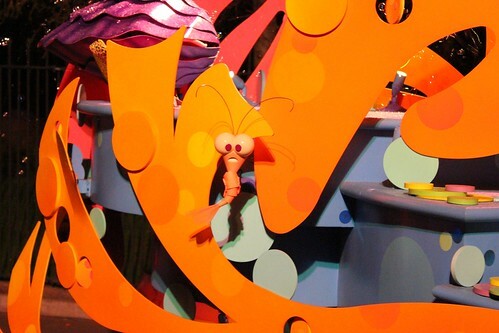 I just noticed the Disneyland Sing-Along Songs Bird. 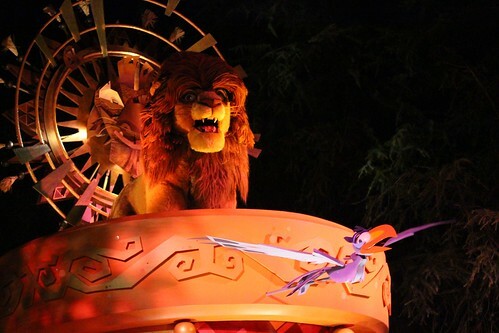 What a fun tribute! 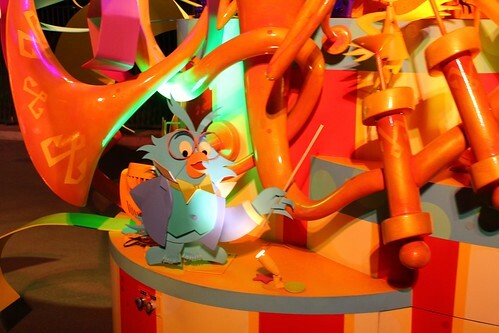 I still check out the video on Youtube all the time while working.